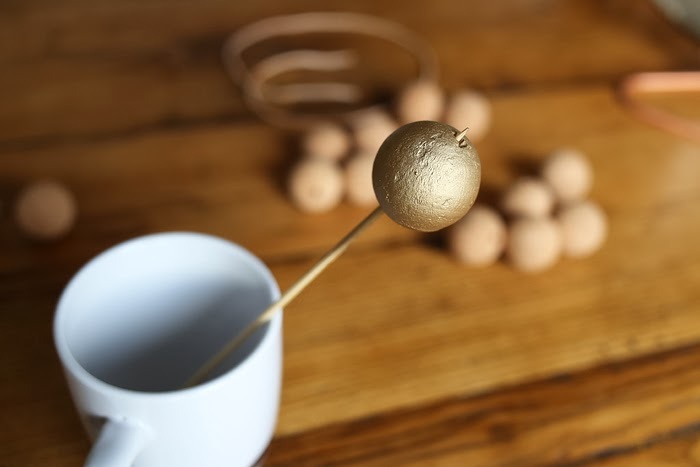 As christmas is not far off, here's a little DIY! 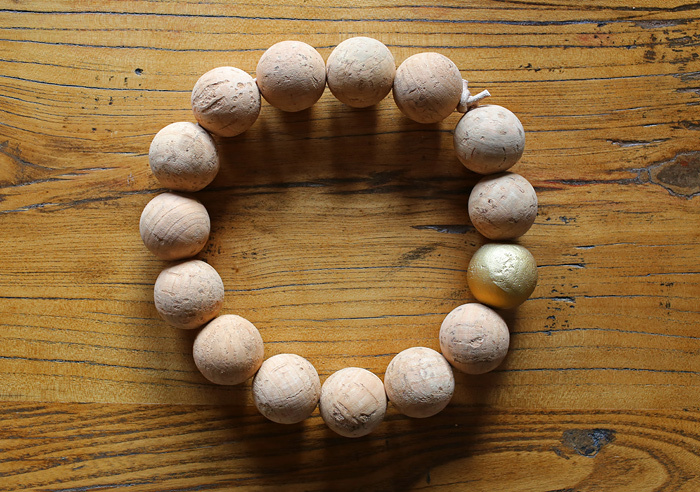 It's a simple trivet made from cork balls and a leather cord. It makes the perfect underlay for hot teapots and pans. As a little highlight I added a single golden ball, which I've painted with spray paint. 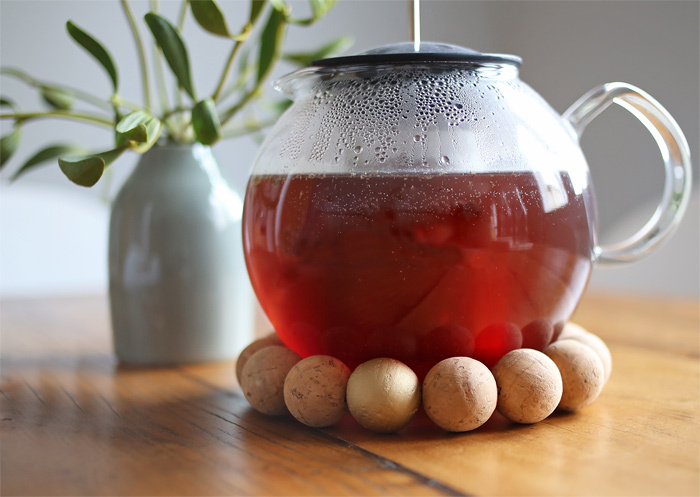 A perfect little christmas present which does not take too much time to make it. 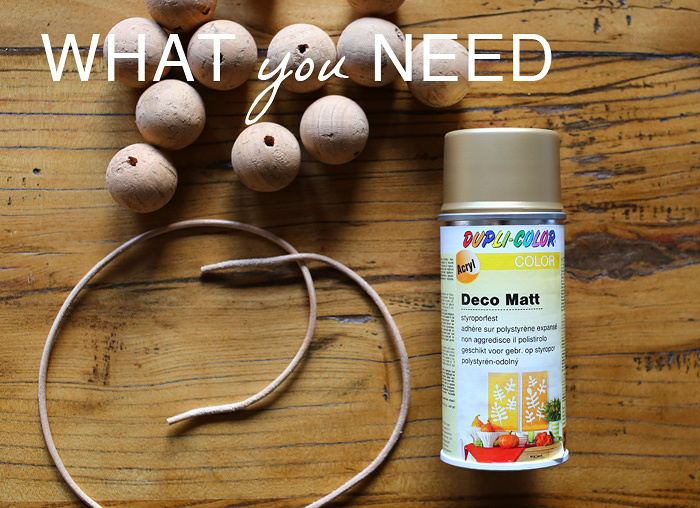 Start by carefully spraying one of the cork balls with the spray paint and leave to dry. 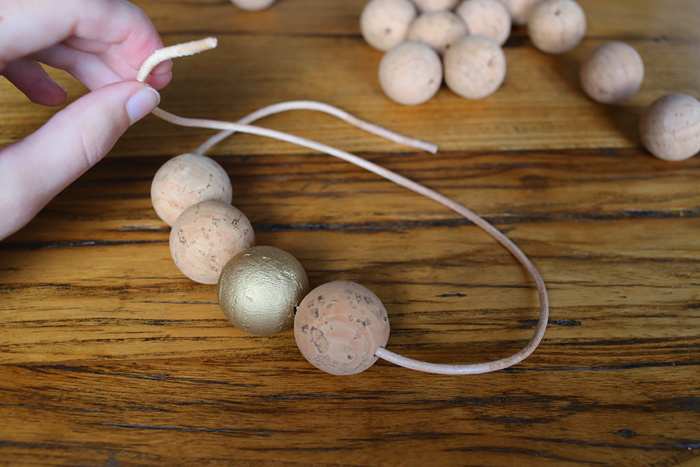 After drying string the cork balls onto the leather cord and tie the ends firmly with a double knot. Finished!